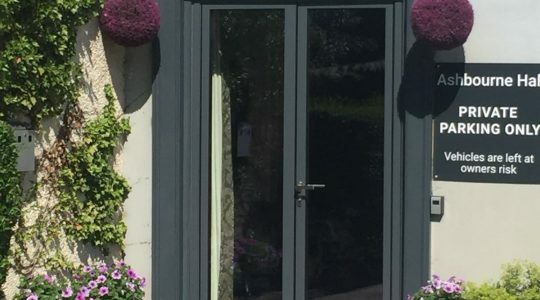 This large, impressive property can accommodate up to 22 people and lends itself to any function, whether this is a birthday celebration, family gathering, hen/stag party or a corporate function. Situated within walking distance of Ashbourne town centre with its shops, bars and restaurants, Ashbourne Hall is steeped in history. 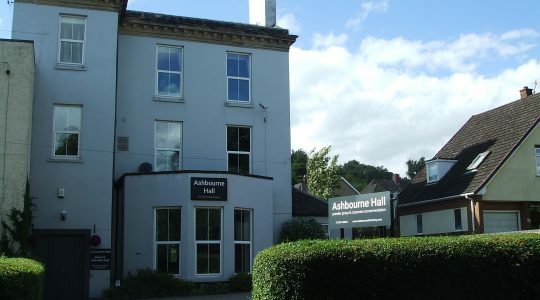 Bonnie Prince Charlie stayed the night at Ashbourne Hall in 1745 after proclaiming his father James III on Ashbourne Market place. Ashbourne is a Derbyshire market town often referred to as the “Gateway to the Peaks” and is located on the southern fringe of the Peak District National Park. The town is home to the famous and unique annual Shrovetide football game. played on Shrove Tuesday and Ash Wednesday. 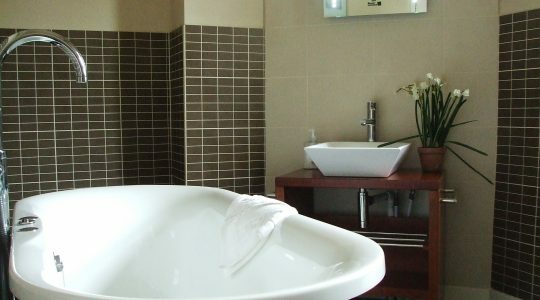 Ten bedrooms and eight bathrooms/wet rooms are stylishly decorated to 5* standards throughout. 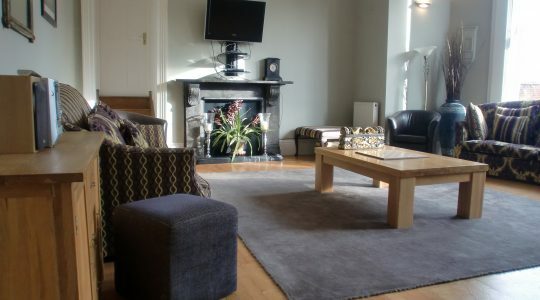 On the ground floor there is an impressive lounge with large sofas and wall mounted TV with Sky. 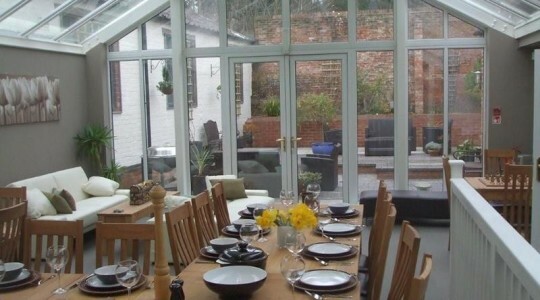 The dining conservatory contains contemporary oak tables and chairs, and leads out to an enclosed courtyard with garden furniture and a BBQ. 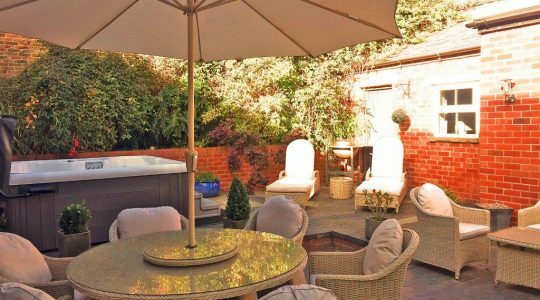 There is a private Hot Tub situated in the walled courtyard. 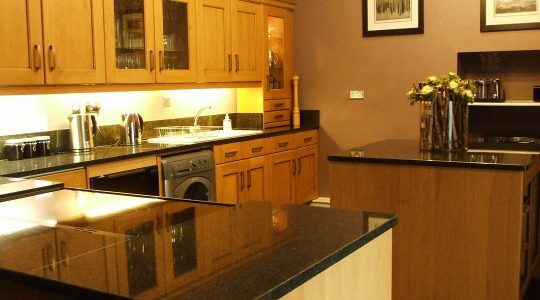 The stylish kitchen is fully equipped with a double range oven, dishwasher, and microwave. 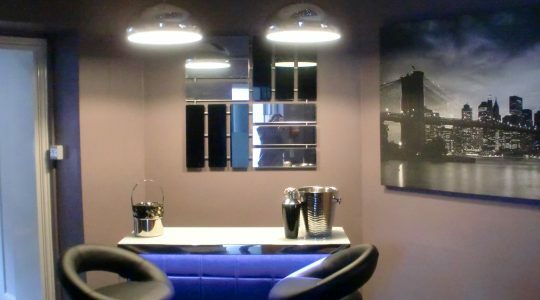 It also has a starlit bar and karaoke machine, making it perfect for parties! Ilam Room Double bedroom with bunk beds (Thorpe Cloud Room) leading from it. 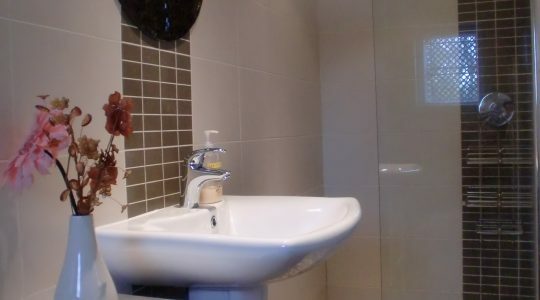 These share a shower room and are ideal for a family who want a little privacy. 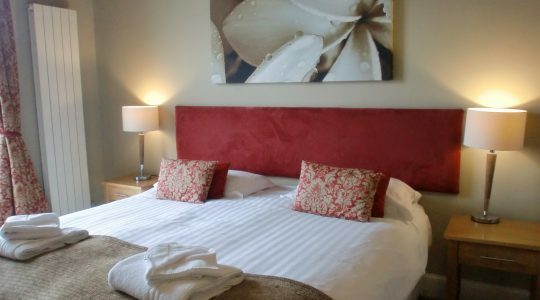 Tissington Room Double bedroom, which can be used for elderly or disabled guests with a suitable shower room. Mapleton Room Superking/twin bedroom with an additional single bed. Family bathroom with bath. 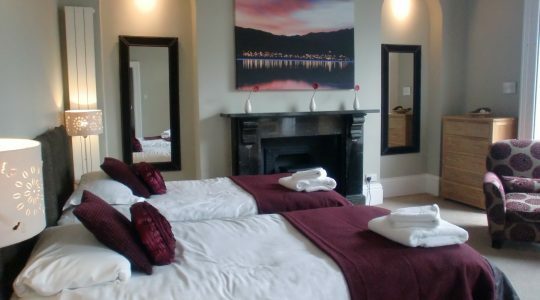 Bonnie Prince Charles Room Superking/twin bedroom with an additional single bed, and en-suite wet room. Boothby Room Superking/twin room with en-suite wet room. These room share a wet room, lending themselves to a family as they are on a separate annex. 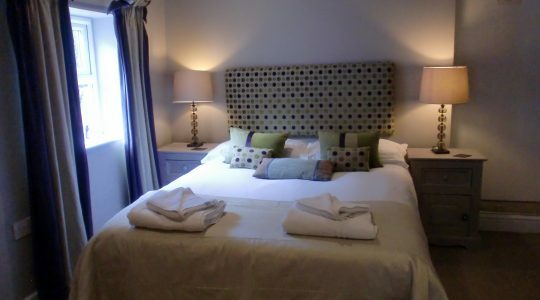 Cokayne Room Double bed with en-suite wet room. 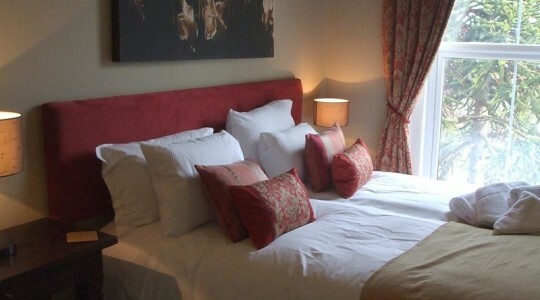 Royal Shrovetide Room Superking/twin bedroom with dressing room suitable for a cot or small child. En-suite shower over bath. Pricing can be found here. 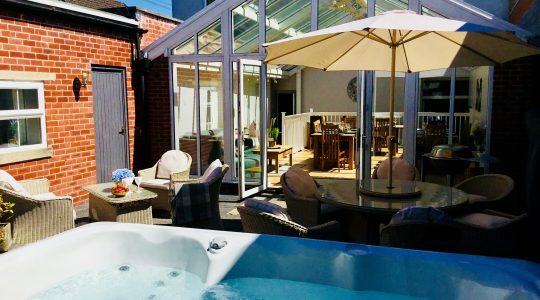 23rd April for a 3 night stay – Ashbourne Hall for up to 22 people.